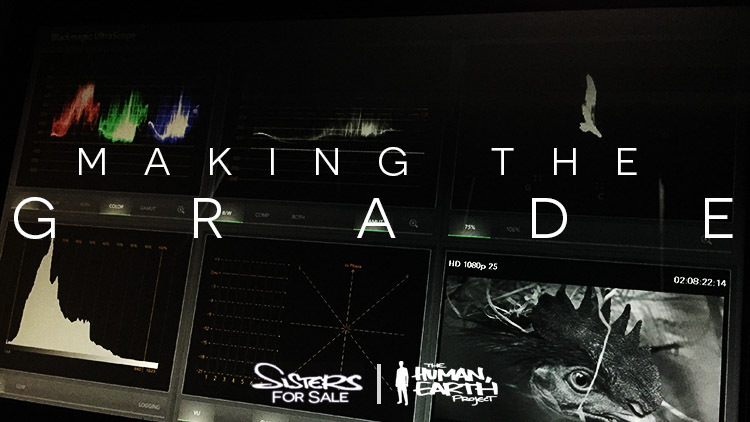 There are almost a thousand separate pieces of footage in ‘Sisters For Sale’. Each of those needs to be analysed, corrected and enhanced so they look great both individually, and as a cohesive whole. Some shots require little or no adjustment. Others can be run through a dozen processes or more. A series of meticulous adjustments – for colour balance, contrast, exposure, saturation, etc. – can be applied to the image as a whole, or any number of masks and selections. 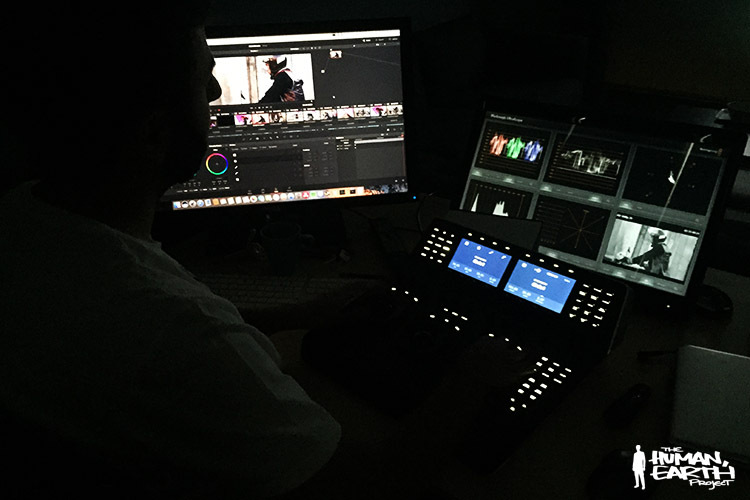 It’s a process known as colour grading, which involves both a keen eye, and extremely accurate, well-calibrated equipment. 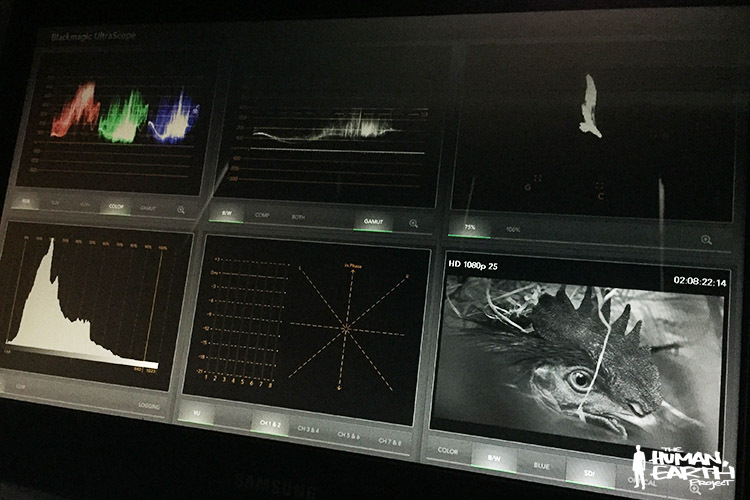 All of the films and commercials you see have been graded – and, as with many aspects of filmmaking, it is both an art and a science. Jeppe Hildebrandt and I first began grading ‘Sisters For Sale’ last month in Denmark, but were limited by the equipment available at the time. 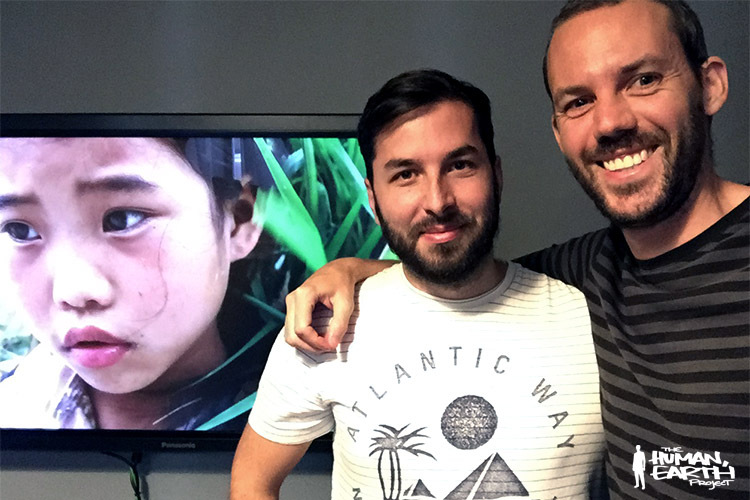 This week, I’ve been working with professional colorist Laco Gaal in his studio in downtown Budapest. I call it a studio but it’s more of a Batcave, where any external light is screened off by a heavy door and floor-to-ceiling blackout curtains, and the only illumination comes from the array of screens. Laco and I have spent long days huddled in the cave, poring over the film, treating it with some of the most sophisticated tools available. Laco’s been an absolute pleasure to work with, never ceasing to amaze me with his keen eye and hands that seem to dance almost intuitively over the various controls – thank you! You can see some of Laco’s beautiful work here. I’d also like to thank Kerstin, Kristin, Markus, Werner, Jordina and Philipp for your assistance this month. ‘Sisters For Sale’ is looking beautiful, and is getting very close to completion!